Who loves chocolate candies? 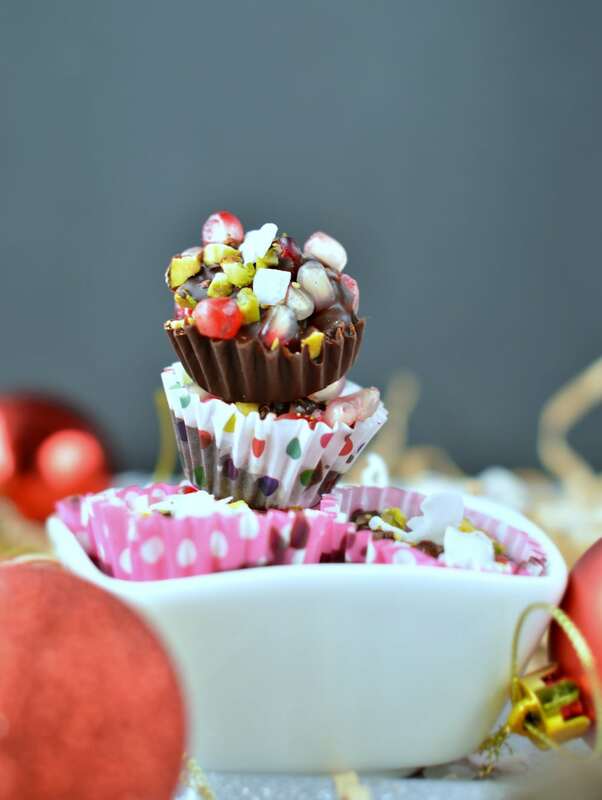 This is what I called an healthier chocolate candy treat or my Healthy Pomegranate Chocolate Candy Cups. The combo of fresh anti oxydant-rich pomegranate seeds + 85% dark chocolate + crushed salted and roasted pistachio and toasted coconut chips is simply a BOMB! I am already thinking about Christmas! I know it is early but let’s be honest Christmas is already everywhere in any store. So hard to not feel the Christmas spirit already ! I love Christmas anyway it is my favourite time of the year because it is all about food and family. But this year I want to build an homemade advent calendar for my girl full of healthy home made chocolate candies. 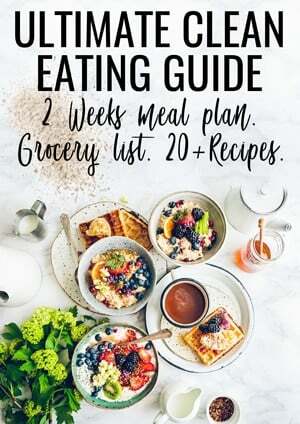 This recipe will be one of them I am sure! What I love the most about this recipe is the juicy texture that release the pomegranate seeds when you eat those cute cups. It reminds me the famous mon cheri candied cherry chocolate – without the liquor of course. The good thing is they store very well even if it contains fresh fruits. I kept mine up to 2 weeks in a plastic jar in the fridge without seeing any change in taste or texture. The combo of salted roasted pistachio and pomegranate is absolutely delicious and the colour are simply the one I love for Christmas. Lots of red colour with some bits and pieces of green and white. De-seed the pomegranate following the pictures above and place the seeds into a bowl. Make sure you discard all the white parts that stick to the seeds. The easiest way to do this without water is to gently rub the seeds into a piece of absorbent paper. Place the baking cups into the mini baking cups tray. Arrange the pomegranate seeds into each cups filling the cups up to 3/4.level with pomegranate seeds.Sprinkle crushed pistachios, quantity as you like. Melt the sugar free chocolate - or 85% dark chocolate. I simply microwave my chocolate into a bowl for 30 seconds, two times, stirring between. Add 1 tablespoon of melted chocolate into each cups to almost cover all the seeds. You can add more chocolate if you like but I like the colour of fresh pomegranate seeds on top of the cups. 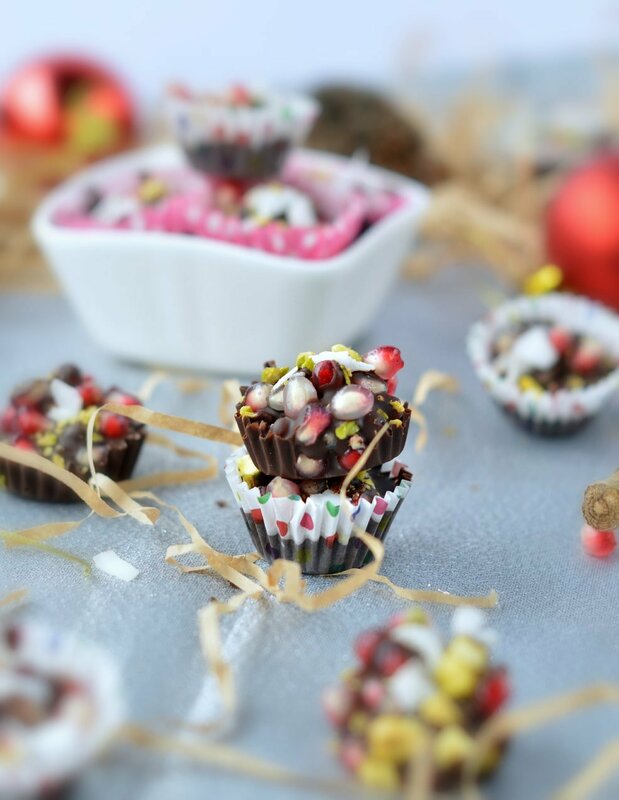 Sprinkle some toasted coconut chips on the top, make sure they did into the melted chocolate to hold and add extra crushed pistachios to decorate. Refrigerate until the chocolate harden,. Store in a plastic airtight container up to 2 weeks in the fridge.